Welcome to Spring! We can all breathe a bit easier this month as Mercury is once again moving direct and Uranus has safely moved into its new home for the next seven years. The focus in April will be centered on one or two major areas of life for each sign. Mars will remain in one house all month, directing all productivity in a single, very specific direction. A New Moon, Mercury, and Venus will also be partying in one area of your life, bringing in new experiences that will genuinely interest those around you. Collaborate on any opportunities that arise during this time. The end of the month will shift your attention momentarily to unexpected gifts from the Universe. Embrace all that is brought into your life this month! Mars is in the 3rd house of communication all month. You will be writing up a storm this month, Aries. Is there a great project you are currently working on with your students? Blog about it! Performing research on an interesting piece or composer? Write an article! A New Moon appears in your 1st house of identity on April 5th. Makeover time! This is a good time to pick out a killer new outfit for your next recital or purchase something new for your flute such as a jeweled crown, a new headjoint, or even something simple like a new flute bag. Mercury moves into the 1st house of identity on April 18th. You will be extra popular during this time. This is the perfect time to host a recital or an impromptu performance. Others will enjoy your playing and will want to discuss the repertoire more in depth with you. A Full Moon appears in your 7th house of relationships on April 19th. You may need to end or change a toxic relationship in your life at the end of the month. Something just isn’t working well with this individual and it may be time to move on to more positive connections. Venus moves into your 1st house of identity on April 21st. This is the best time to add an audition or interview to your schedule. You will be very popular when Venus moves into your 1st house. Use this energy to wow your panel. The Sun moves into the 2nd house of income on April 21st, joining Uranus. You may be adding more students to your studio or more paid gigs to your schedule at the end of the month, providing a slight boost to your income. Don’t spend it all in one place! Mars is in the 2nd house of income all month. As the saying goes, this month you will be “earning and burning.” Mars will help you get down to business and attract more opportunities to increase your income (more gigs, more students, more passive income, etc.). A New Moon appears in your 12th house of behind the scenes activities on April 5th. You will be taking new repertoire into the practice room at the beginning of the month. This could be in preparation for an upcoming recital or your next orchestra concert. Roll up your sleeves and get to work! Mercury moves into the 12th house of behind the scenes activities on April 18th. This is a good time to discuss new repertoire with your flute teacher or another colleague. You may be running into technical difficulties and could use a different perspective. A Full Moon appears in your 6th house of work and health routines on April 19th. You may need to revise your work schedule a bit. Something in your daily routine is not really working out. Speaking of working out…how does exercise fit into your current schedule? Are you getting enough exercise? Do you need to change up your routine? Try going for a bike ride and enjoy the springtime air. Venus moves into your 12th house of behind the scenes activities on April 21st. By the end of the month whatever difficulties you encountered in the practice room around the time of the full moon will work themselves out. Slow, deliberate practice will be necessary to move you closer to your goals. The Sun moves into the 1st house of identity on April 21st, joining Uranus. Host a recital or masterclass at the end of the month. You will be quite popular when the sun moves into your sign. You have worked hard and are ready to shine! Mars is in the 1st house of identity all month. You are working on yourself and all of your most meaningful projects this month. How do you want to make your mark on the flute playing world? 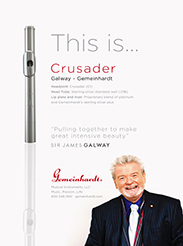 What steps do you need to take to become the flutist you have always wanted to be? Roll up your sleeves and take action. A New Moon appears in your 11th house of groups and communities on April 5th. You could be joining a new performing ensemble at this time (or starting your own group). Wedding season is just around the corner – set up a woodwind quintet and practice some of the standards. Mercury moves into the 11th house of groups and communities on April 18th. 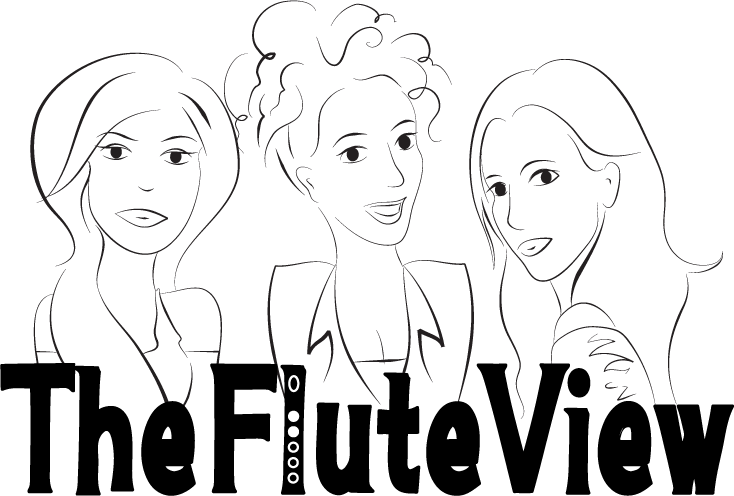 Invite your new colleagues over for wine and cheese and discuss your performance goals. Where would you like to perform? What repertoire would you like to explore? Would you like to be known as strictly a classical ensemble or are you open to crazy new pieces from contemporary composers? A Full Moon appears in your 5th house of creativity and love on April 19th. A creative project that you have been working on will be coming to an end. Time to finish that final chapter in your book or put the finishing touches on that new composition. Venus moves into your 11th house of groups and communities on April 21st. You will be quite popular in your new ensemble. Keep up that positive vibe and work harmoniously with those around you. The Sun moves into the 12th house of behind the scenes activities on April 21st, joining Uranus. You will have an “aha!” moment in the practice room at the end of the month. Keep a journal during this time to capture all of those great ideas as they pop up. Mars is in the 12th house of behind the scenes activities all month. You will be practically living in the practice room this month. Roll up your sleeves and practice everything and anything. Prepare for your next recital and beyond! A New Moon appears in your 10th house of careers on April 5th. There could be a new job on the horizon! Jump on any auditions offered around the time of this New Moon. The Universe will give you a nice boost of good luck. Mercury moves into the 10th house of careers on April 18th. If you have been offered a new job, use this time for contract negotiations with your new boss. What are your new responsibilities? Is the additional work adequately compensated? What are your benefits and how much flexibility will you have on the job? Have a chat with the Powers That Be and iron out all of the details. A Full Moon appears in your 4th house of home and family on April 19th. Your family will need your attention at the time of this Full Moon. Your crazy rehearsal schedule may be dragging them down and too many canceled plans may have you re-arranging your practice time to spend more quality time at home. This will ultimately be good thing, helping you to achieve a better balance between your work and home life. Venus moves into your 10th house of careers on April 21st. This is a good time to speak to an advisor or a mentor about the direction of your career. What are your goals? Where would you like to be in the next 12 months? 5 years? 10 years? Come up with a series of action steps to move closer to your goals. The Sun moves into the 11th house of groups and communities on April 21st, joining Uranus. You may unexpectedly be asked to sub for a local orchestra. Put your best foot forward and play your heart out! This could be the beginning of a beautiful future collaboration. Mars is in the 11th house of groups and communities all month. You will be knee deep in rehearsals this month. Make sure to take breaks, eat properly, and squeeze in some exercise to avoid burnout. A New Moon appears in your 9th house of travel on April 5th. Start planning your summer vacation! This is also a good time to look into summer research opportunities and possible grants available through your job or other national organizations. Mercury moves into the 9th house of travel on April 18th. Once you have compiled your travel budget and other expenses, Mercury will encourage you to chat with an advisor regarding the grant application process and what to expect if you are awarded funding. You may also want to discuss your proposed trip with your family. How do they feel about this research trip? Will they be accompanying you? What arrangements will you need to make to ensure their comfort and safety? A Full Moon appears in your 3rd house of communication on April 19th. A writing project you have been working on may be coming to a close. Have you been writing a book? Proofread and put the finishing touches on your index, dedication, and closing material. Use the energy of the Full Moon to submit your final work to your publisher. Venus moves into your 9th house of travel on April 21st. If you are discussing your summer travel plans/proposals with funding officials, there is a good chance that they will be supportive of your endeavors. Venus will definitely help get others on board with your trip. Pack your bags! The Sun moves into the 10th house of careers on April 21st, joining Uranus. You may be unexpectedly offered a job out of the blue at the end of the month. Somebody may leave their orchestra position out of nowhere and a desperate conductor may need your help. Jump on this opportunity to shine! Mars is in the 10th house of careers all month. You will be rolling up your sleeves and working on your career goals this month. This is a great time to devise a 1-year, 5-year, and 10-year career goal chart. What action steps can you take within the next week, month, and year to move you closer to these goals? Use this Mars energy to take those steps. A New Moon appears in your 8th house of banking and finance on April 5th. Have you been considering a large purchase such as a home, a car, or perhaps a new flute? This is a good time to research some of the financing options available to you. How much will you need to save each month? What will your payments look like and how often will they be due? Mercury moves into the 8th house of banking and finance on April 18th. Make an appointment to discuss your loan options with a financial advisor. Visit your local banking institution and explore short term financing options for your large purchase goals. A Full Moon appears in your 2nd house of income on April 19th. One of your income streams may be coming to an end around the time of this Full Moon. Have the affiliate links on your flute blog not been pulling in enough passive income lately? Do you need these links or would it be better to remove them? Venus moves into your 8th house of banking and finance on April 21st. This is the best time to submit loan and financing applications for your major purchase. Venus will encourage others to support your plans and offer you realistic options to make your purchase. The Sun moves into the 9th house of travel on April 21st, joining Uranus. You may go on an unexpected, but very welcome, vacation at the end of the month. And why not!? The weather is improving and flights are cheap. Spread your wings and fly away to somewhere gorgeous. Mars is in the 9th house of travel all month. You will likely be traveling a lot this month. These could be in the form of short distance trips to sub in local orchestras or longer distance trips to audition for orchestras across the country. Pack your bags! A New Moon appears in your 7th house of relationships on April 5th. 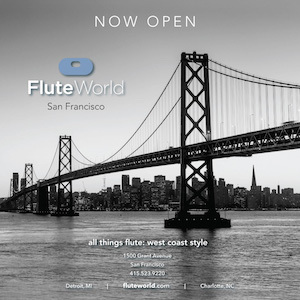 This is a great time to connect to new flute friends far and wide. If you are traveling to auditions, strike up friendly conversations in the greenroom. You might make a very important connection during this trip. Mercury moves into the 7th house of relationships on April 18th. Strike up a conversation with your new flute friends! Create a new forum group on Facebook, Twitter, or Instagram and engage others in meaningful flute chats. A Full Moon appears in your 1st house of identity on April 19th. Do a bit of self-reflection around the time of this Full Moon. Your flute playing may need a bit of a makeover. Perhaps your sound is not where you’d like it to be. What sound studies can you practice to improve resonance and create a more solid center to your sound? How is your vibrato? Your intonation? Venus moves into your 7th house of relationships on April 21st. This is a good time to have a party or informal get together with flute friends old and new. Set up or participate in a community flute festival or collaborative masterclass. The Sun moves into the 8th house of banking and finance on April 21st, joining Uranus. As part of your flute playing makeover, you might start considering major upgrades to your instrument. Unfortunately, these upgrades will be pricey. Use the energy of the Sun to research financing options. Set up a meeting with your financial advisor and discuss reasonable payment plans. Mars is in the 8th house of banking and finance all month. The time has come to invest in something you have wanted for a very long time. This could likely be a new flute. What are your financing options? Can you realistically afford a new instrument? Can you sell your current instrument to put money towards a new model? Speak to a financial advisor this month. A New Moon appears in your 6th house of daily job and health routines on April 5th. You could be receiving a promotion at work around the time of this New Moon. Congrats! There may be more responsibilities associated with this move (ex. moving from assistant principal to principal flute), but you are definitely prepared for the challenge. Mercury moves into the 6th house of daily job and health routines on April 18th. Have a chat with your boss and/or conductor about what is expected from you moving forward. 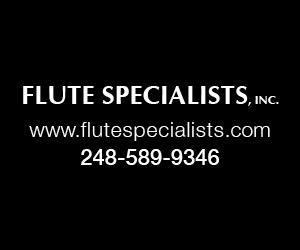 Will you need to arrange flute sectionals outside of rehearsal? What repertoire are they planning to program for next season? What excerpts should you prepare over the summer break? A Full Moon appears in your 12th house of behind the scenes activities on April 19th. The hard work you have been putting into a piece lately in the practice room will come to an end around this Full Moon. You will either make a great breakthrough during this time or finally perform the piece and set it to rest. Bye, Felicia! Venus moves into your 6th house of daily job and health routines on April 21st. You will be quite popular at work during this time. This could be the day that your boss or conductor announces your promotion. Celebrate your advancement with your coworkers. They might even have suggestions for future collaborations in your new role. The Sun moves into the 7th house of relationships on April 21st, joining Uranus. You may make a very important new flute friend out of the blue. 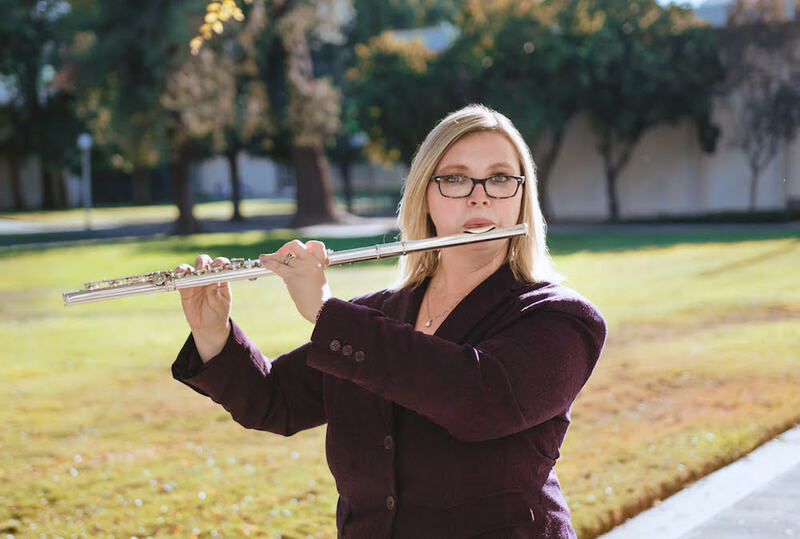 Use this time to connect with other flutists online and within your community. Network. Network. Network. Mars is in the 7th house of relationships all month. You will be networking with other musicians all month and meeting interesting new people with great ideas for future collaborations. Attend all of the music conferences in your area. 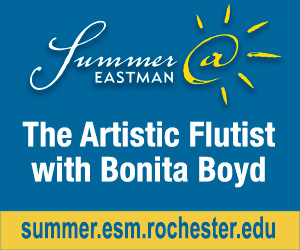 Participate in local flute festivals and attend any masterclasses offered by the pros. A New Moon appears in your 5th house of creativity and love on April 5th. This is a perfect time to start on that creative project that you may have had on the back-burner. Have you always wanted to record a cd? What pieces would you like to put on your recording? Are there local recording studios that you can work with on this project? What will your rehearsal schedule look like? Start planning! Mercury moves into the 5th house of creativity and love on April 18th. Contact your accompanist during this time and negotiate times to work on your cd recording. Schedule times with your studio. If you are working on a composition rather than a cd, schedule a few meetings with your fellow composer friends to brainstorm new ideas for your work. Which publishers do they recommend to approach with your project? A Full Moon appears in your 11th house of groups and communities on April 19th. Your affiliation with a local performing group may be coming to an end around the time of this Full Moon. Perhaps you have accepted a position in another group that rehearses at the same time. Or maybe this group no longer challenges you. The Full Moon in this house supports your decision to move on. Venus moves into your 5th house of creativity and love on April 21st. Others are very interested in your new creative project. Use this energy to collaborate with other musicians in connection with your work. If it is a cd recording, you may want to add a small chamber music work to your lineup. If it is a composition, test out some of your drafts with a local ensemble. The Sun moves into the 6th house of daily job and health routines on April 21st, joining Uranus. You might be quite busy at your job at the end of the month. Your newfound popularity may also come with additional meetings and projects. Rearrange your schedule to accommodate all of your responsibilities while also creating time for exercise and sleep. Take care of yourself! Mars is in the 6th house of daily job and health routines all month. You will be extremely busy at work this month. So. Many. Rehearsals. Your students may all want make-up lessons at the same time. Your performance schedule is out of control. With Mars in this house, however, you will have the energy to get everything done and then some. Make sure to schedule additional time to eat, sleep, and exercise. Take care of yourself! A New Moon appears in your 4th house of home and family on April 5th. You could be moving into a new office, studio, or even a new house or apartment. Does the space work well for you? How can you change your environment to improve productivity and relaxation? Update your furniture and office equipment! A Full Moon appears in your 10th house of careers on April 19th. Something in your career is about to come to an end. You may have accepted a new job and will need to close the chapter on your current job. This is a good move and, although it may be a bittersweet goodbye, the Universe will be there to help you move forward. Remember not to burn any bridges on your way out. Venus moves into your 4th house of home and family on April 21st. This is a good day to host an office or home warming party. Share your new surroundings with your friends and family. 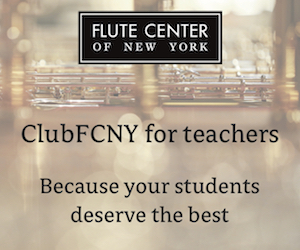 Invite your students into your new studio to sight-read flute choir pieces. Check out the acoustics and space limitations. The Sun moves into the 5th house of creativity and love on April 21st, joining Uranus. Redirect your focus from your environment to a creative project. This is a great time to make some headway on an important project that you have put on the back-burner recently. You may find some new inspiration from the Universe. Mars is in the 5th house of creativity and love all month. All of your energy will be focused on a creative project this month. This may be something that was put on hold due to the Mercury retrograde last month or something that you have been meaning to make some decent headway on for some time. Mars will help you check off a number of things on your to-do list. Who knows – By the end of this month you may be ready to publish that book, distribute that CD, or send your new composition to a publisher. A New Moon appears in your 3rd house of communication on April 5th. Have you started a flute blog or a YouTube artist channel yet? This New Moon will help you lay the foundation on an interesting platform to share your ideas about flute playing. Mercury moves into the 3rd house of communication on April 18th. With Mercury, planet of communication, in your house of communication, you will likely be writing up a storm. 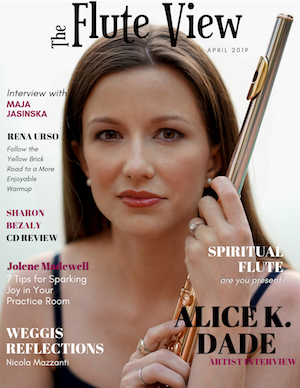 Get a decent jump start on your new flute blog with a series of short, yet excellent, posts each day for the next week. There is an entire internet of readers eager to engage in your ideas. A Full Moon appears in your 9th house of travel on April 19th. Be careful during this Full Moon with any travel plans as they may need to be changed or canceled. Perhaps that audition you have been preparing for will be unexpectedly canceled. Try to remain flexible. Tomorrow is another day! Venus moves into your 3rd house of communication on April 21st. This is a great time to engage others in your ideas. Advertise your newest blog posts or YouTube videos on social media. Venus will help attract positive readers with great ideas for new blog topics. Your content will reach a new level of popularity! The Sun moves into the 4th house of home and family on April 21st, joining Uranus. Your family may need your attention at the end of the month. Try to engage them in some of your musical activities. Take your family to an orchestra concert and explain how a symphony is constructed. Ask them what they hear in the music or the stories they imagine when they listen to the piece. Mars is in the 4th house of home and family all month. You might be distracted by home improvement projects this month. Building a new studio space? Soundproofing a home studio? Purchasing new recording equipment or studio furniture? Mars will help you roll up your sleeve and check all of these projects off your to-do list. A New Moon appears in your 2nd house of income on April 5th. You may be applying or auditioning to a new job at the beginning of the month. This is a wonderful opportunity that will make your daily routine a bit more meaningful. Brush up your excerpts, prepare a list of important items to address in an interview, and purchase a fabulous new suit. Time to put your best foot forward! Mercury moves into the 2nd house of income on April 18th. Your interview or audition may be scheduled during this time. Mercury will help you communicate gracefully with your committee. Remember to take your time, remain calm, and stick to concise but powerful statements regarding your strengths, weakness, and unique talents. A Full Moon appears in your 8th house of banking and finance on April 19th. You could be finally paying off your new flute during this time. Nice work! This Full Moon will have you breathing a sigh of relief, moving you one step closer to financial freedom. Venus moves into your 2nd house of income on April 21st. You will be quite popular at work during this time. New opportunities to increase your income are likely as Venus moves into this house. Be on the lookout for new students, new gigs, or additional teaching opportunities. The Sun moves into the 3rd house of communication on April 21st, joining Uranus. The end of the month will see you writing up a storm. Do you have a flute blog? Write about your recent audition or interview experience. What can other flutists currently on the job market learn from your experience? Did you encounter any performance anxiety? What did you do to remain calm and focused?